Courtyard Hotel @ 1Borneo G-800 1 Borneo Hypermall, Jalan UMS 88450 Kota Kinabalu, Sabah, Malaysia. 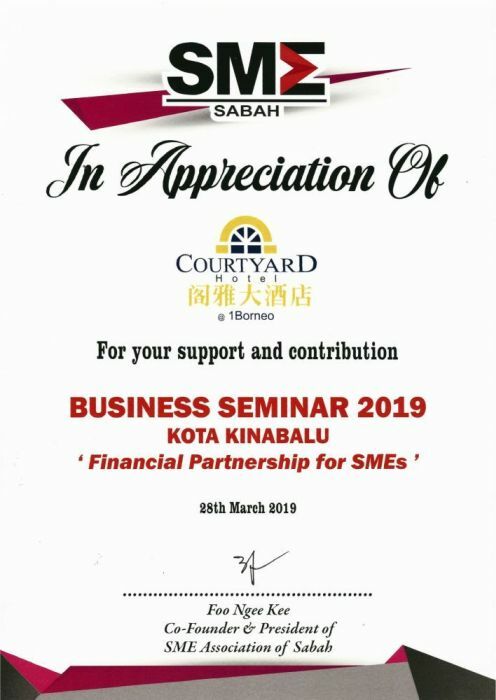 Courtyard Hotel Management Sdn. Bhd. 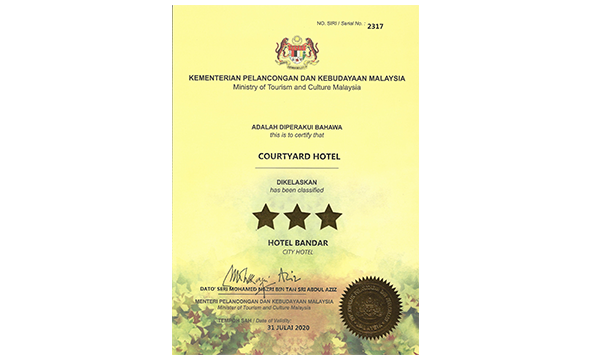 is proud to introduce COURTYARD HOTEL @ 1BORNEO. 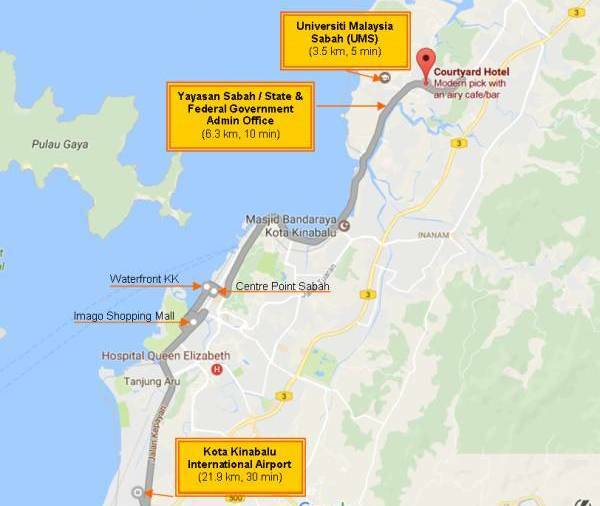 Rated a 3-star hotel, by the Minister of Tourisms Malaysia. 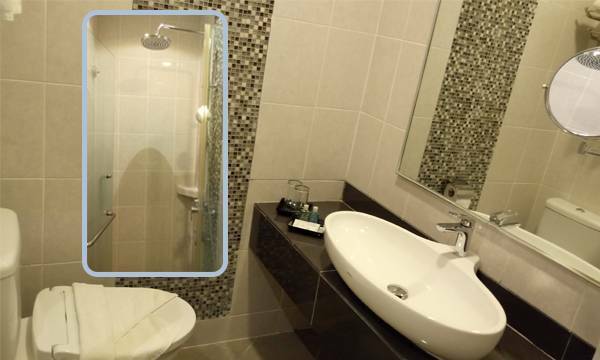 We are proud to introduce our new Deluxe Room equipped with upgraded facilities such as wall mounted hair dryer, rain shower, smart bidet and shaving mirror. 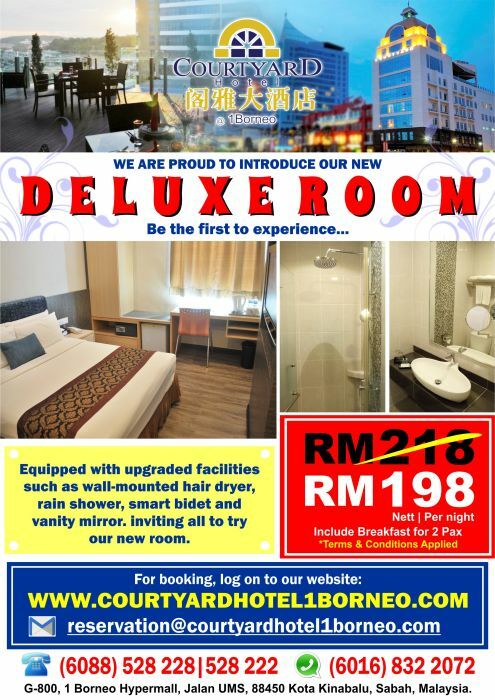 Inviting all to try our new room. Book Now! 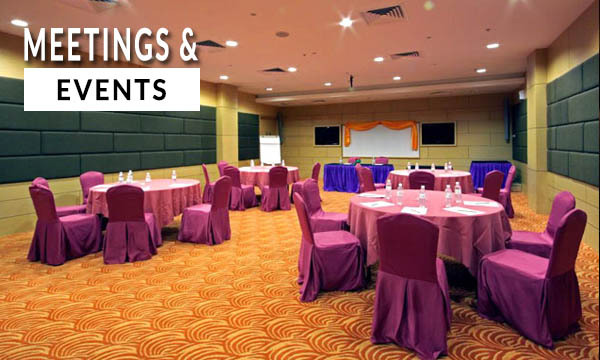 Whether for business or leisure, COURTYARD HOTEL @ 1 Borneo is designed to cater to your needs. For businessmen and corporate executives, we have our Deluxe Executive room with free in-room wired Internet Broadband services and complimentary WIFI in Courtyard lobby and Elusion Café. 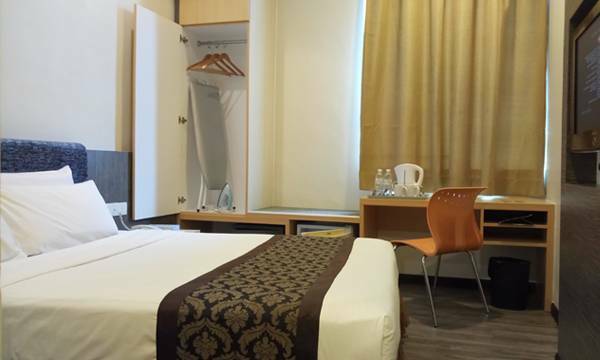 For leisure shoppers or tourists, we have different grades and sizes of rooms to cater to budget travels, families and tourists travelling in group or FIT. Operating hour 6:30am – 11:00pm daily. 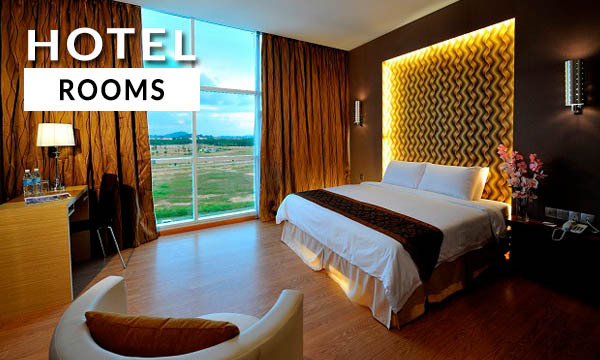 24 hours complimentary wired in-room Internet Broadband. 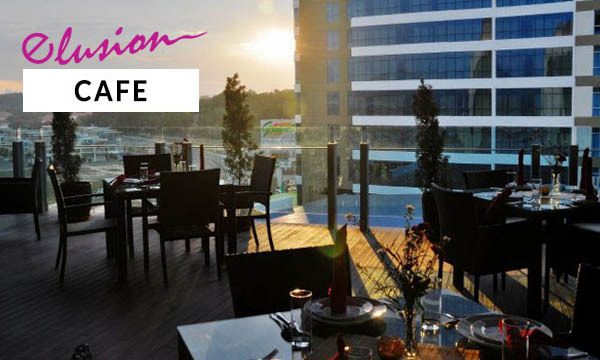 Complimentary WIFI at Courtyard Lobby and Elusion Café. 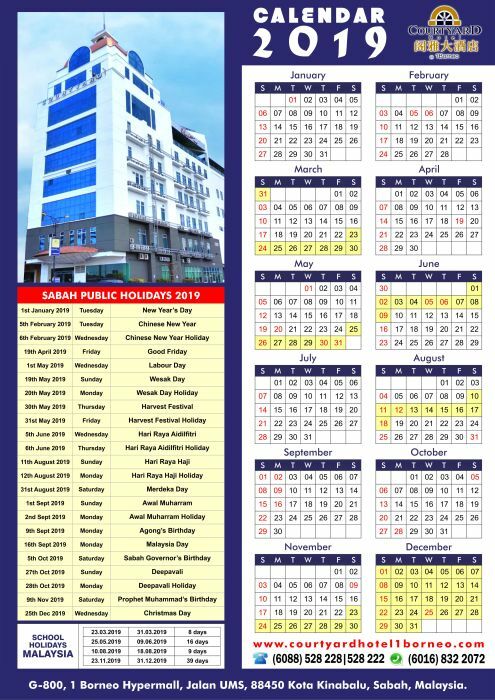 Located in 1 Borneo lifestyle hypermall filled with exciting happenings and events. 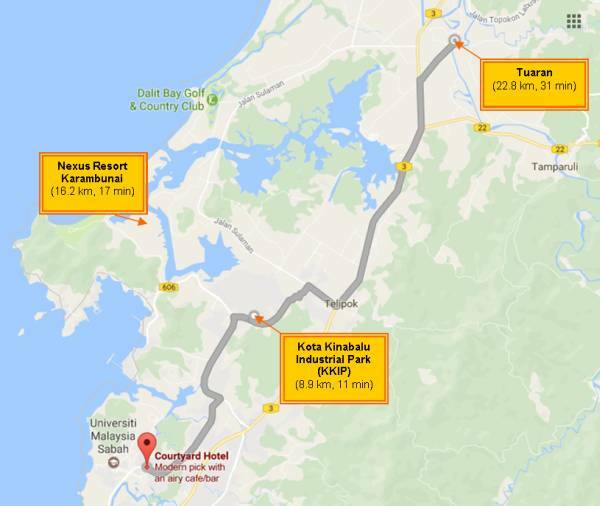 Well equipped gym and fitness center in 1 Borneo.